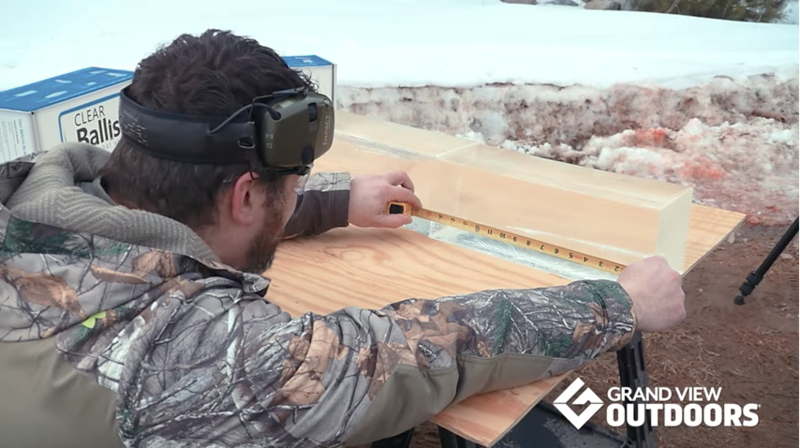 Grand View Outdoors put the new Hydra-Shok Deep up against 16-inch blocks of ballistic gelatin to see what it could do. The bullet features a core design that's said to provide up to 50 percent deeper penetration than the original Hydra-Shok. If you’re old enough, think back to the 1980s. Long, flowing frizzy hair was cool. So were bright-colored sleeveless shirts, as well as a host of other apparel items that people wouldn’t be caught dead in today. Some might say the good old days, but just like fashion, bullets and their performance continue to advance over time. “Over time, the FBI performance requirements has been evolving, and their protocol testing has similarly been evolving to match. One of the most notable changes has been the desire for deeper-penetrating rounds and more consistency in penetration depths though all the intermediate barriers,” said Larry Head, director and chief engineer of Federal handgun ammunition. That’s why Federal came out with the new Hydra-Shok Deep. In FBI testing, bullets are scored on their performance in ballistic gelatin while being shot through barriers, such as clothing, drywall, auto glass, steel car doors and plywood. While the original Hydra-Shok performs well, it didn’t live up to the rigors of the new FBI testing. For example, in bare ballistic gelatin with no barriers, the optimum penetration depth is 14 to 16 inches. The Hydra-Shok Deep penetrates to 15 inches. The new Hydra-Shok Deep also features reliable Federal primers and a specially-formulated flash-suppressant powder for consistent velocities and reduced muzzle flash. Hydra-Shok Deep will initially be offered in a 135-grain 9mm Luger, with other loads coming soon. Introducing the new Hydra-Shok Deep. The bullet features a core design that provides up to 50 percent deeper penetration than original Hydra-Shok and similar loads from competitors. Meanwhile, the center post has been improved so it’s more robust, which provides better integrity and performance through barriers.